October 8th, 2016 - Bunkers Sports Cafe, Leesburg VA. 8pm. A very special event to celebrate the 35 year anniversary of the Bootleg band and the 20 year milestone for the Vollmer Band! 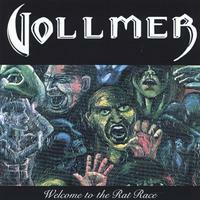 Jade, Steve, and Allen have stood the test of time as core members with many artists supporting the unique sounds and styles of Bootleg and Vollmer. This special performance will celebrate songs played during the 80's through Vollmer's current set list, including a brand new song soon to be released. Also, the band will be reunited with artists that performed with Bootleg and Vollmer, playing their favorite songs of the period for you. 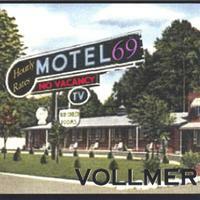 Admission is Free!, if you pre-order at www.vollmerrocks.net This includes a 15% discount on food and drinks after 9pm. Happy hour prices apply before 9pm. Just click the Add to Cart button. · Unforgetable night of music, guest musicians, and fun times! Just select the quantity, shirt size you want and click the Add to Cart button. Everything will be waiting for you at the show. The cost is only $10. To receive the discount you must pre-order your tickets or package using this website. Your name will be added to the guest list and Bunkers will have a wristband for you at the show.